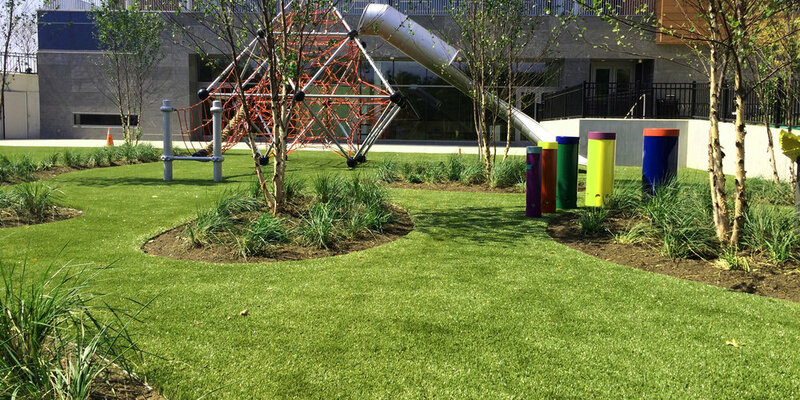 Six thousand square feet of PlaygroundGrass™ Ultra make this playground a fun, safe place to get fit! This playground, originally intended for a day care, was re-purposed to be a part of the Institute for Food, Nutrition & Health Center. Children can use the facility and playground to learn to integrate exercise into a more healthy lifestyle.